The program with Chuo Law School, based in Tokyo and one of Japan's most prestigious law schools, was initiated by the late Professor Malcolm Smith in 2005. Professor Smith graduated from MLS in the 1960s, founded the ALC with others in 1985, and took up a position at Chuo in 2004. The program is now hosted by Stacey Steele and her team at the Asian Law Centre. 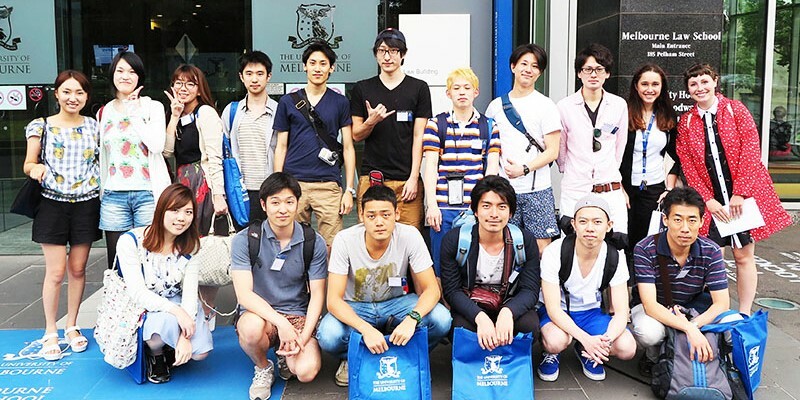 "This year marks a decade of cross-cultural legal education, with more than 100 Japanese students and numerous professors visiting Melbourne from Chuo," Ms Steele said. "The program evidences the Asian Law Centre's commitment and leadership in relation to Japanese law in Australia." Accompanied by Professors Dan Rosen, Chuck Ito and Kiyofumi Koutani, the students study Australian law and attend seminars on a variety of legal topics taught by MLS lecturers. They also have the opportunity to visit Victorian legal institutions such as courts, Parliament and law firms to enhance their experience.